Therefore when I saw Les sitting in Lampton Square eating his lunch I managed to find the courage to go an ask him to be part of the project. 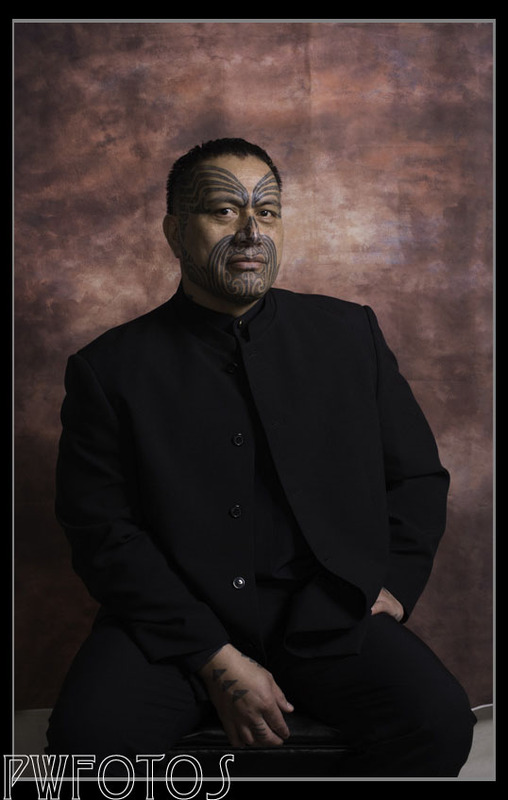 Having a full face moko certainly drew attention to Les and he explained to me the significance of it to him. 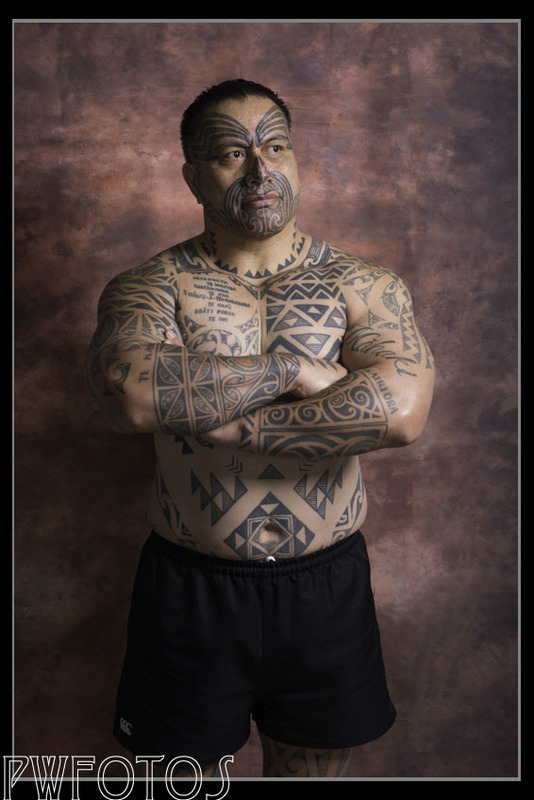 For Maori the tattooing had much more significance than simple body art. He also said that it was often a conversation starter and he was used to be approached, although people were sometimes hesitant. Part of that is that while tattoos in New Zealand is fairly common generally it only those with criminal connection that cover their faces. Les has tattoos that extend over pretty much over his entire body. Lighting for the shoot was based on a setup that I learned from Chris Knight. My seven foot umbrella was positioned behind me to fill the details in the shadow and the main accent light was provided by a beauty dish positioned camera right and about 45 degree angle from the subject.